Natural ingredients are the key to great black skin care. There is an impressive increase in the sales of organic and natural body products. As more people are educated on the effects of ingredients used in making body products, they are able to make smarter and healthier choices by opting for products made from organic and natural ingredients. Beauty companies strive to meet this demand by producing more refined products containing organic and natural ingredients. Unfortunately, this upsurge in demand has led to the rise of misinformation, half truths and lies concerning natural body products. 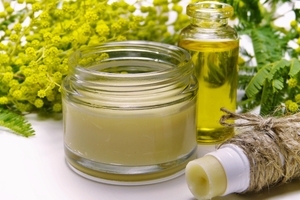 Here is a quick summary of the usefulness of natural ingredients for body products. 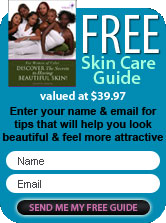 Natural Body Moisturizers - moisturizers play a key role in routine body care. Moisturizers hydrate, protect and replenish skin cells. These days there are lots of cosmetic ingredients added into body creams to improve the penetrative ability of artificial moisturizers. Honey - honey is an emollient that pulls in water from the atmosphere and into the skin. Water gets into skin cells, hydrates them and makes them firmer and more elastic. Honey also provides relief in skin burns, cracked skin, chapped lips and irritated sensitive skin. Milk - milk is a rich source of protein. Milk is a perfect skin food for thin skin. Milk feeds the skin with the necessary protein and poly peptides needed to form new cells. As old cells falls away, new cells are formed to replace the worn out ones. Cucumbers - cucumber is one of the most favorite natural body moisturizers for summer skin care. Apart from hydrating dry and thirsty skin cells, cucumbers are packed with vitamins C and E that detoxify free radicals deposited on skin cells. These free radicals are by-products of smoke, grime, sun, heat and microbial infection. A face mask made from cool cucumber slices is perfect for summer care. Rose Water - Rose water is another favorite natural moisturizer for summer care. Rosewater is cool, refreshing and instantly hydrates dry sun exposed skin. Rose Water contains powerful antioxidant and anti inflammatory properties that prevent cell damage caused by free radicals. Rose water controls the pH of the skin and controls excess oil. Body Scrubs - You'd be surprised at what comes under the heading of natural exfoliants. For example, when added to a body scrub, Jojoba wax beads are gentle enough to remove dead skin cell build up with out bringing harm to your skin. We all agree that natural exfoliants should gentle. Artificial body scrubs are harsh, can cause micro abrasions on the skin and strip the skin off its natural oil. Sebum, the natural oil in your skin is necessary to prevent microbial infection, drying and irritation of your skin. Natural exfoliants are mild, maintain the skin's natural pH and still replenishes any moisture lost during the exfoliation process. Citrus Fruits -Citrus fruits are popular natural body scrubs. Citrus fruits contain citric acid, a powerful alpha hydroxyl acid that stimulates removal of dead skin cells. These dead cells pile on the dermis and make your skin dull and rough. Dead cells also block your skin pores which can lead to skin break outs. Sugar - sugar is rich in glycolic acid, another powerful alpha hydroxyl acid. Sugar also has a rough texture that mechanically removes dead skin cells giving it a finer, polished look. Apricot Seed - ground apricot seeds remove clumped dead cells from the skin surface. These seeds have have a rough texture that mechanically rubs away dead cells that block skin pores. For added moisture, mix crushed apricot seeds with honey or oil for a more gentle application. Oatmeal - Oatmeal is rich in fiber. Unlike apricot seeds and sugar, oat has a milder texture that gently lifts off dirt and dead cells from the skin's surface. Oatmeal is rich in vitamins that soothe dry and vitamin deficient skin cells. Natural Body Butters - natural body butters are oily emollients that trap and seal water into skin cells. They can also be called sealants. Coconut Oil -coconut oil has a significant penetrative ability. Coconut oil hydrates, moisturizes and deeply conditions skin cells. Coconut oil is rich in fatty acids and antioxidants that detoxify effects from free radicals, excessive wind and sun exposure. Cocoa Butter - this sweet smelling butter is the perfect after tanning butter. Cocoa butter replenishes moisture lost during excessive sun exposure. It also has antioxidants and anti inflammatory properties that soothe and provide relief from dry skin. Cocoa butter increases skin elasticity and helps improve appearance of stretch marks and wrinkles. Shea Butter - extracted from African shea nuts, shea butter is widely recognized for its ability to improve the appearance of stretch marks. Shea butter is rich in vitamin E, a strong antioxidant with anti inflammatory properties. Shea butter is also rich in vitamin A. Vitamin A contains retinoic acid which increases cell turnover. This increased cell turnover effect improves wound healing, collagen synthesis and appearance of stretch marks and wrinkles. Natural body products are effective and free from contaminants like: parabens, sulfates, petrochemicals, mineral oil, phthalates and PEG compounds. These products are refreshing breaks from the harshness of artifical products and chemicals. Make a selection from the choices listed and show your body love!